Our first Cafe Royale event was definitely our most sunlight-permeated ever up until that point in time! Rabih Alameddine read from The Hakawati, a passage where he characteristically writes about food while also writing about death. 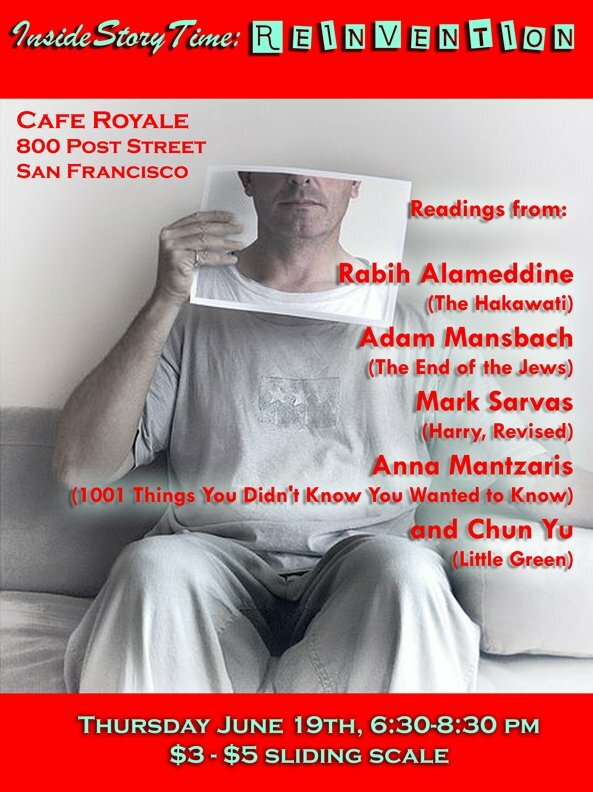 Adam Mansbach read from his irreverent saga The End of the Jews. Mark Sarvas read from Harry, Revised, about learning to fight like a Dumas character when you're middle-aged. Anna Mantzaris read a story about the totalitarian pressure to be happy. Chun Yu read from Little Green about her Maoist childhood.